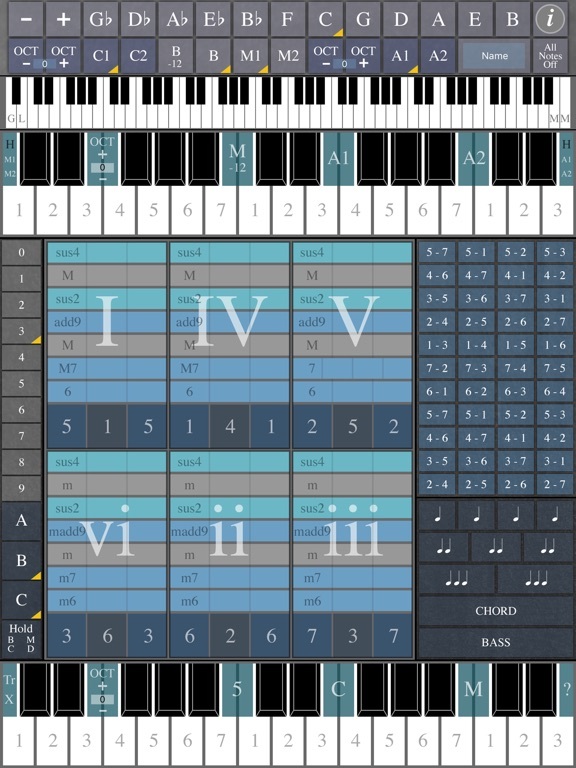 ChordMaps2 is a music app for iPad which allows musicians, songwriters, music educators, and students to explore and improvise chord progressions, melody lines, and bass lines in both major and minor keys, most of the time tapping with just one or two fingers. 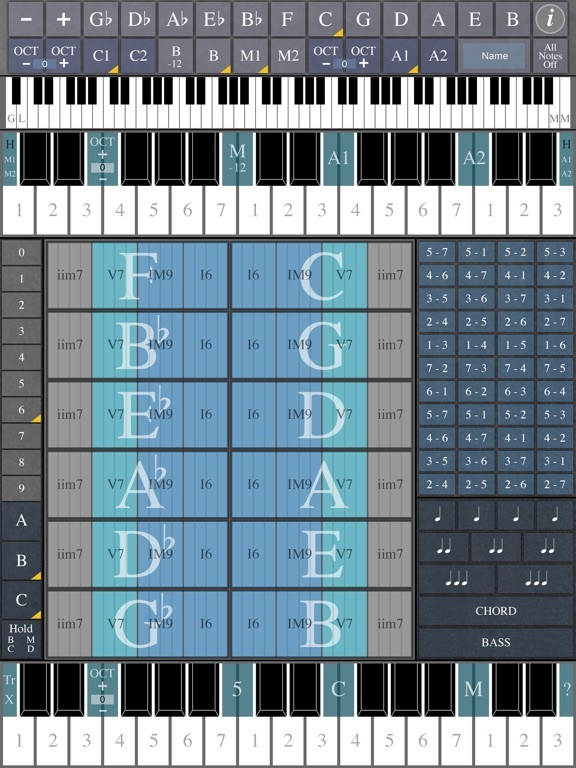 The most powerful feature of ChordMaps2 is that the user can explore and play common chord progressions by touching chord locations on one of the "musical maps." Songwriter - to explore melody lines, bass lines, and chord progressions when you are away from your guitar or keyboard. Music Educator - to demonstrate principles of music theory, (including major and minor scales, diatonic and secondary chords, common chord progressions like IV-V-I, ii-V-I, I-vi-IV-V, I-V-vi-IV, etc.). You can also create spontaneous ear-training exercises, and explore melodic lines and chord progressions with students in an interactive environment. MIDI Musician - to tap out chord sequences, which are then played by one or more of the synth apps on your iPad, or you can send the MIDI information out through a MIDI interface to a computer running a digital audio workstation (DAW) like GarageBand or Logic Pro. ChordMaps2 is a MIDI controller. It works by being paired with a synthesizer app that generates sound. (Example synth apps include ThumbJam, SampleTank, bs-16i, Nave, GarageBand by way of MidiBridge, iM1, Launchkey, SynthMaster and many more.) 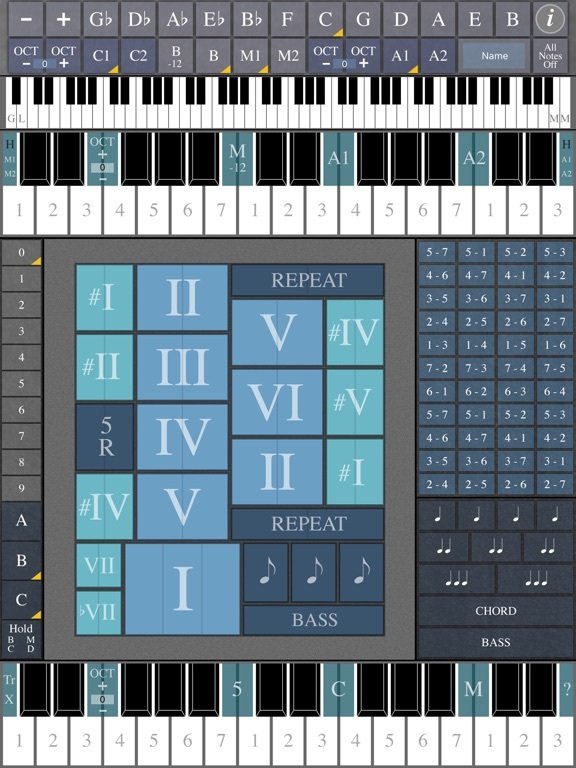 ChordMaps2 sends the MIDI signals: the synth app responds to the MIDI information and creates the audio signals. 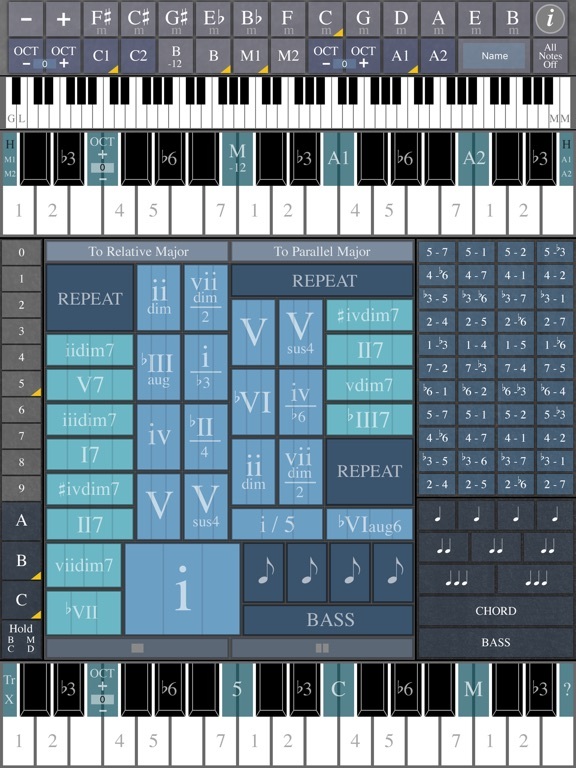 ChordMaps2 allows you to explore, play, or improvise interesting musical phrases and progressions on the iPad, in both major and minor keys. 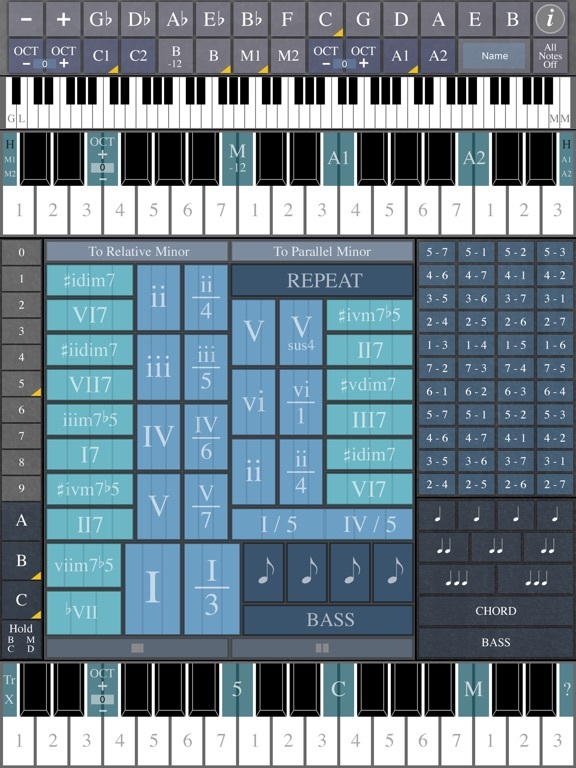 The MIDI information sent out can be played on a variety of synthesizer apps, or, with an iOS midi interface, sent to software or hardware synths. There are video and audio demonstrations at the ChordMaps2 website (click the Developer Website link in the left column or visit mugglinworks.com/ChordMaps2). The video shows the kinds of musical phrases that can be played with ChordMaps2. Fixed visual display elements - When moving from map to map, some of the backgrounds were loading incorrectly. Fixed visual display elements - Some of the smaller display elements were not locating correctly when the device was rotated.